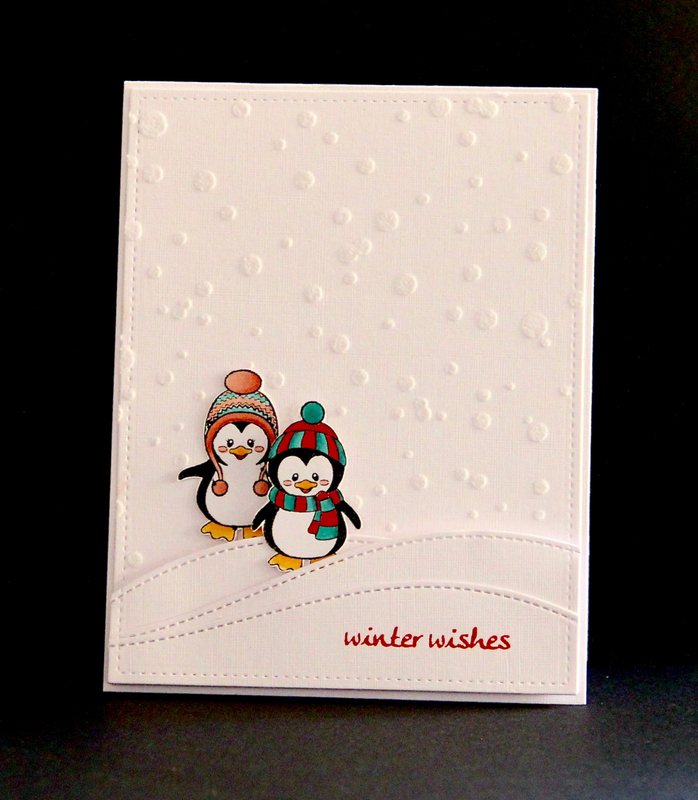 I used Winnie and Walter's snow stencil with some texture paste, added some die cut snow drifts and a couple of cute penguins from Whimsy Stamps Penguins Winter Adventure. Too easy! Oh my goodness, how CUTE!! Love the vibrant colors on the penguins and the wonderful stenciled snow - fabulous card! Thanks so much for joining us at the CASology challenge this week! I LOVE your sprinkling of snow, Claire! What an inspired take on the cue! 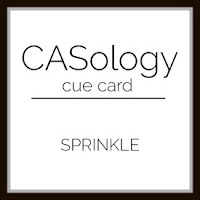 So wonderful that you could join us this week at CASology! I bet the third little friend went inside to sit at the fire, Claire!!!! The colours you have used are beautiful!!!! Such a clever interpretation of the cue card!!! Great card. I love the cute penguins and the way you've created a winter scene. Thank you so much for taking the time to leave a comment - they really make my day!